I'm back-back-back from my holidays to take over update duties from Kat. 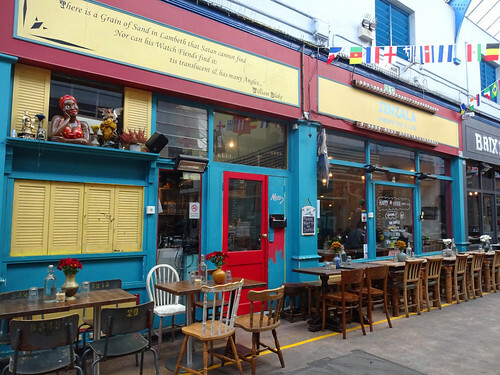 The featured article this week is the imaginatively named Food House, W1D 5QH, which we can confirm does indeed offer food. But perhaps instead you should call it 風味食堂. 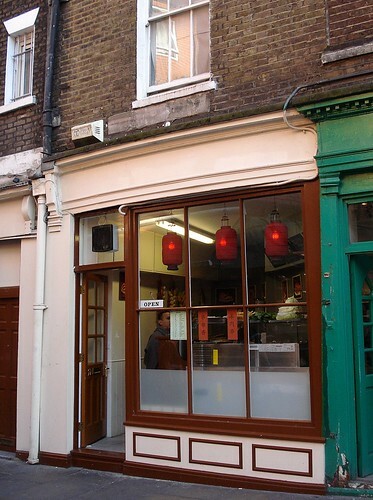 In fact, it's Northern Chinese and Sichuanese food, moved from that bit of Charing Cross Road currently being refurbished. The food was a mixed affair -- check the review for more details -- but the Chinese 'hamburger' was considered rather good at the most recent visit, and the service is friendly. Lots of new articles, many of them in Tooting. Those that aren't are a relaxed Italian in Covent Garden, Wildwood Kitchen, and the Clapham Junction branch of We Brought Beer beer shop (we added their Balham branch recently). 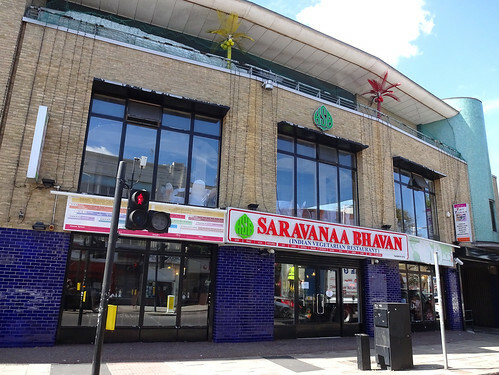 Moving onto those Tooting outlets, we have: Apollo Banana Leaf (a meaty Sri Lankan); Dosa n Chutny (a South Indian cafe); Gourmet (a Pakistani bakery/sweet shop); Pooja Sweets and Savouries (an Indian sweet shop); and Tooting Daily Fresh Naan, which will sort you out for all yr naan needs (though watch out for the hygiene rating). 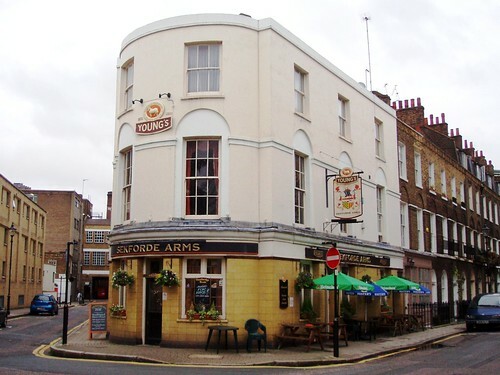 There are updates to The Lyceum Tavern and The Edgar Wallace, both on or near the Strand. Sadly, plenty of reported closures too, most of them pubs as noted in the London Drinker magazine: All Bar One by London Bridge ('redeveloped'); Costa Dorada on Hanway Street; The Fox Reformed in Stoke Newington (renamed); The Gilpin's Bell Edmonton Wetherspoons pub; The Man in the Moon Stanmore 'Spoons; Mela (an Indian on Shaftesbury Ave); The North Pole in Islington (renamed); The Queen's Head in Mitcham; The Widow's Son pub in Bow. 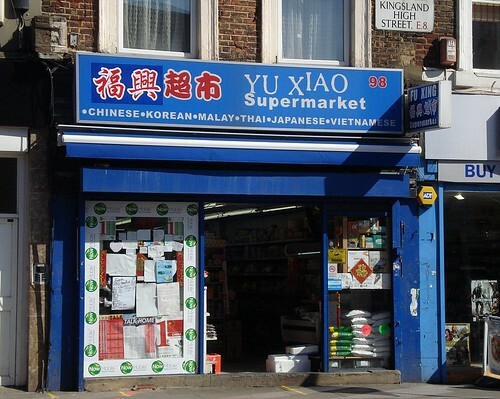 We've heard that Mum's House (a Burmese grocery, not literally your mum's house, unless your mum is Burmese and runs a grocery shop) has moved from Wood Green to Tottenham. 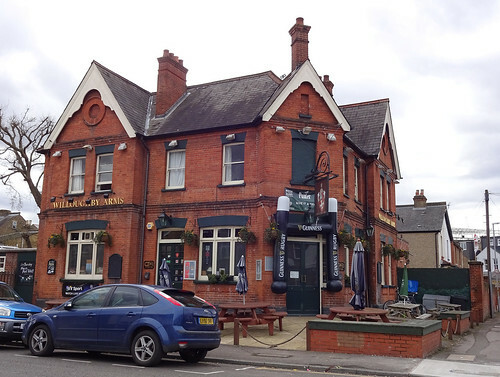 The Misty Moon in High Barnet is now called The Butchers Arms. 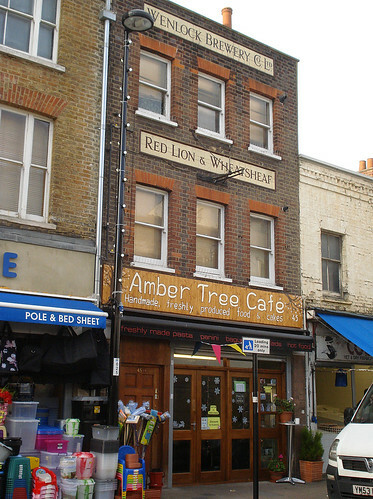 Finally, Adams Cafe in Croydon has reopened, for your London Road greasy spoon needs. 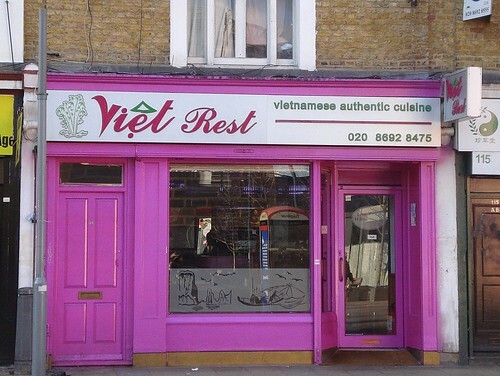 This week's featured article is Viet Rest, SE8 4NS, a small Vietnamese restaurant/takeaway in delightful Deptford. 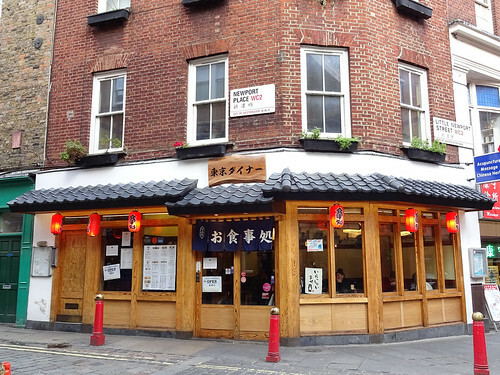 Kake has visited a couple of times to get takeaways, and it sounds like the glutinous rice with braised pork is the dish to get. 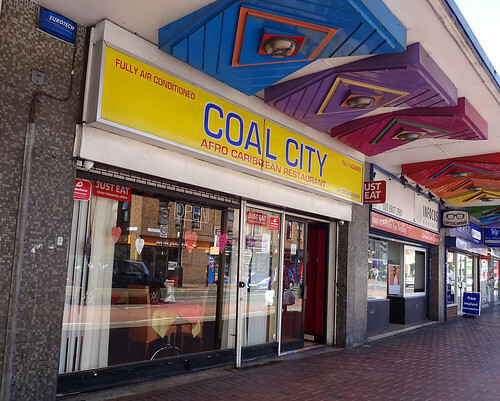 Sigificant updates to the article on Shahanshah in Southall, an Indian cafe/takeaway with fantastic samosas but watch out for unsolicited peas. 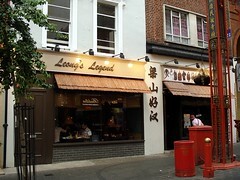 Finally reported closure for Golden Day on Shaftesbury Avenue. Good afternoon RGL crew! It's September, and that means there's a whole bunch of exciting new Good Beer Guide updates in store for next week. But you'll have to be patient! 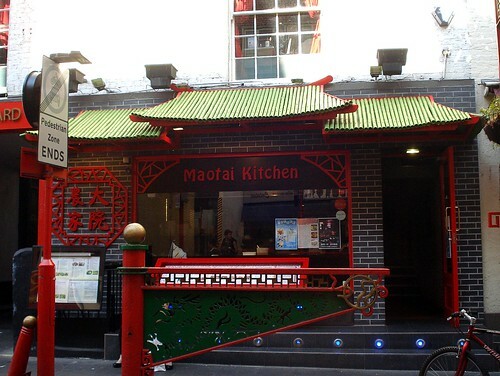 Here's this week's featured article for Maotai Kitchen in Chinatown. There you can eat a Villagers' Spicy Bowl, filled with spam, pig's blood, tripe, fungus and presumably some degree of spiciness. 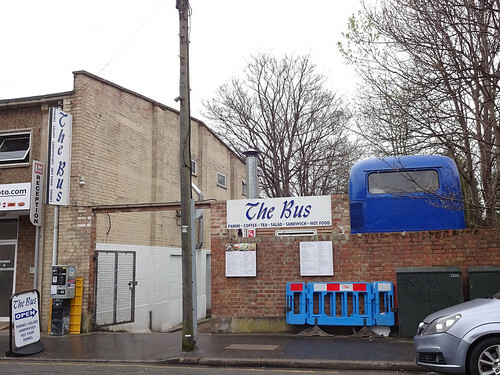 We have a new article for the Station Tavern in Brimsdown (that's up near Enfield), a pub with a sensible attitude to lime and soda pricing. There's also an update for the nearby King and Tinker, although 'nearby' is fairly relative once you get out near the M25. In fact there's an entire golf course and a country park between the two pubs, so 'nearby' in this instance really means 'share the first two letters of their postcodes', HOWEVER by my calculations they are only 0.000000000000510334 light years apart which is hardly anything in the grand scheme of things. 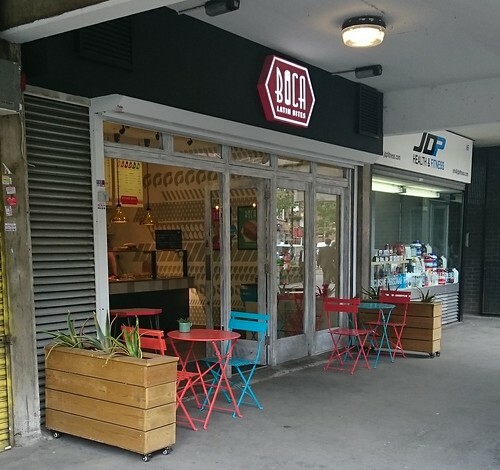 Finally, Pogo Cafe has closed (but is apparently soon to re-open as a different vegan cafe), as has the East Molesey branch of Nicolas wine merchants. 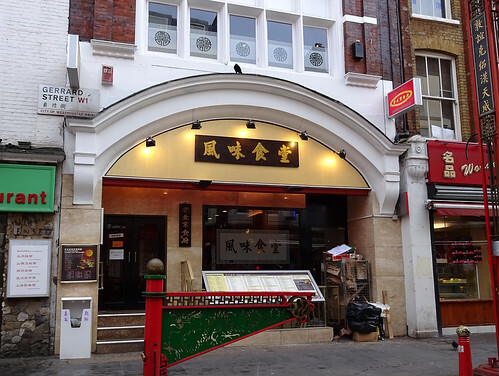 This week's featured article is Chuan Chuan Xiang, a takeaway shop attached to Baozi Inn, specialising in skewers and steamed buns. 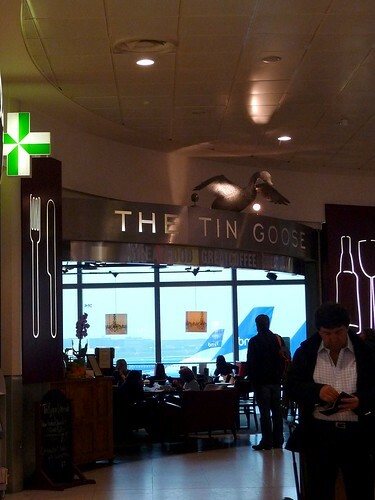 It is spicy and meaty, so be warned if you go! 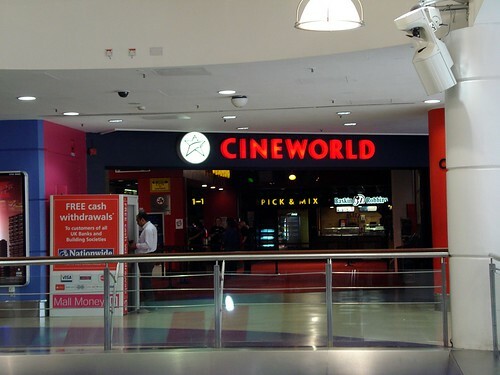 We have only two new entries, because I've been failing to write up anywhere I've been recently. However, others have been, so we have The Shakespeare pub by the Barbican, and Reform Social and Grill in Marylebone, a hotel bar and restaurant which sounds decent, but perhaps (as is the way with hotel ventures) a tad overpriced. 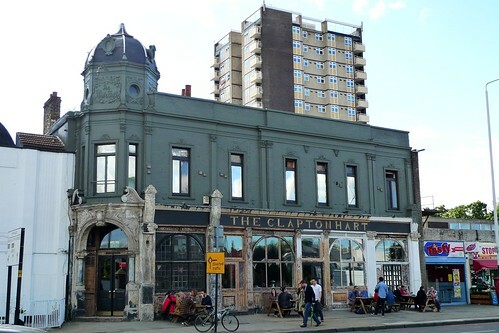 This week's featured article is the Clapton Hart, E5 8EG, a newly-refurbished Antic pub opposite Clapton Pond. As well as eight handpumps featuring plenty of local beers, you get a lovely view of all the 38 buses turning around at the end of their route! 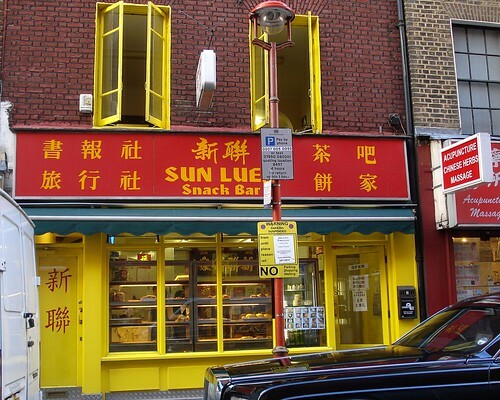 There are three closures to report: Goldfish City, a Chinese restaurant in EC2; the Bloated Mallard pub in Teddington, and Manchurian Legends in Chinatown (now a Cantonese barbecue). 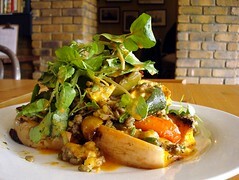 No new articles this week unfortunately - perhaps a pub or restaurant has just opened near you? Why not tell us about it in the comments and we'll put on our Investigating Hats and go check it out!